One of the most eye-catching patterns in the Spring/Summer 2013 issue of Vogue Knitting is Mari Tobita’s Tie Back Tank. This pattern combines a plain Stockinette stitch front with a fantastic lace stitch back, creating a gorgeous summer garment. 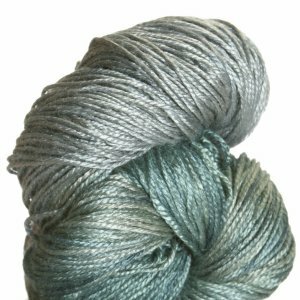 The yarn used is a new Lorna’s Lace’s DK weight called “Pearl” that is 51% silk and 49% bamboo. It’s so shiny and soft, you have to touch it to believe it!